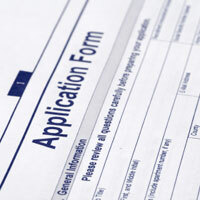 The standard application form for planning permission is known as 1APP. This form introduced by the Department for Communities and Local Government and the Welsh Assembly streamlines the planning system across England and Wales, by providing a standardised process of applying for planning permission. 1APP came into force in April 2008 and all applications for planning permission to local planning authorities must be done through this form. The 1APP can be submitted online through your local planning authority or via the Planning Portal website. It may also be submitted in paper format. It must contain enough information about the proposed development to help your local planning authority determine if the proposed development falls within its approved development plan for the area. If the application fits in with the approved plan, planning permission is normally granted within eight (8) weeks for householder applications. Approvals for larger commercial developments may take longer. You don’t have to make the application yourself; you can appoint an agent (solicitor, architect or a builder) to apply on your behalf.